The Union Minister for Railways, Coal, Finance and Corporate Affairs, Shri Piyush Goyal departs from North Block to Rashtrapati Bhavan and Parliament House, along with the Minister of State for Finance and Shipping, Shri P. Radhakrishnan, the Minister of State for Finance, Shri Shiv Pratap Shukla and the senior officials to present the Interim Budget 2019-20, in New Delhi on February 01, 2019. New Delhi : The Union Cabinet has approved the Union Budget, which is the Modi government’s final budget before the Lok Sabha polls in April-May. Finance Minister Piyush Goyal will present the budget a short while from now. Prime Minister Narendra Modi and his BJP-led NDA government is facing the litmus test in form of the Union Budget. Union Finance and Railway Minister Piyush Goyal has been entrusted with the crucial responsibility of presenting the Budget speech 2019 in the absence of Arun Jaitley, who is undergoing treatment in the USA. Traditionally, the governments refrain from presenting a full budget and instead table an interim Budget or vote-on-account. Being the last budget before the general elections, the expectations from it has been very high. Experts have predicted that the govt may announce several welfare measures, sops for the farmers, unemployed youth and the common taxpayers. While salaried, middle classes are expecting changes in the current income tax slabs by way of a hike in the Income Tax exemption limits, farmers want some sorts of farm credit from the ruling dispensation. 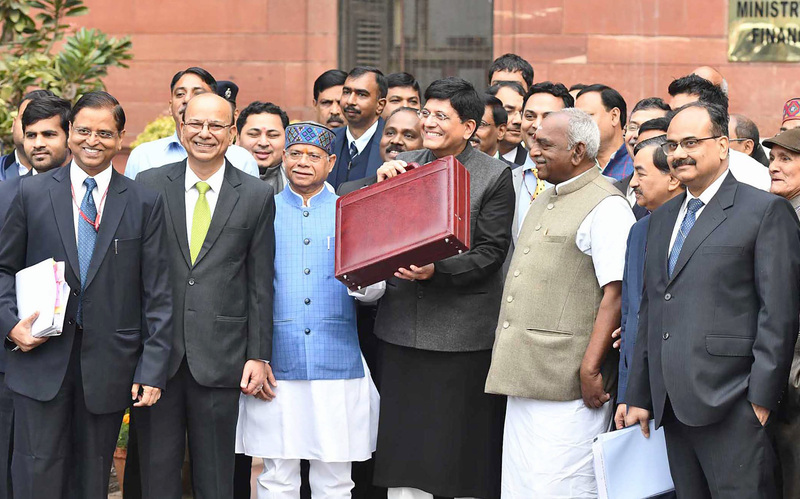 The Union Budget 2019 is extremely crucial for the Modi government as allocations and pledges that will be made in the Budget speech by FM Goyal will demonstrate the ruling dispensation’s future plans and an overview of its tenure.